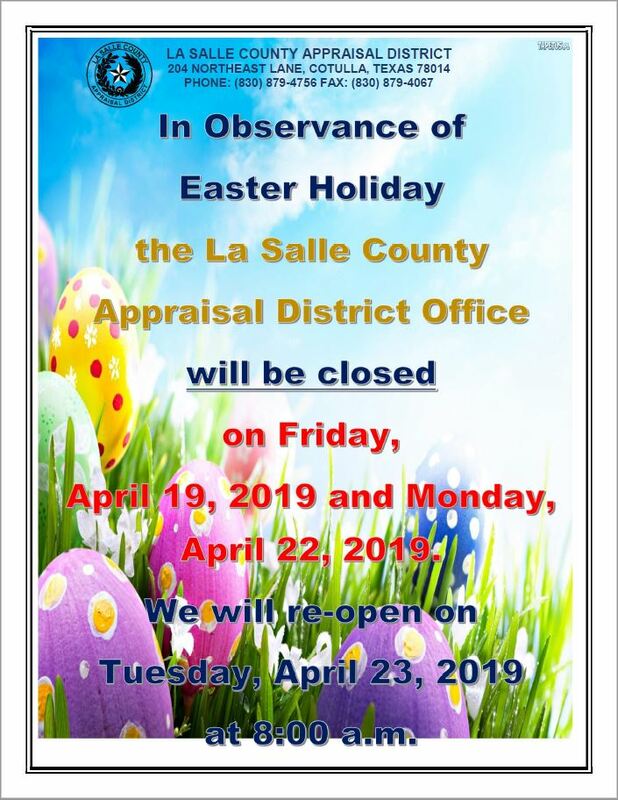 Welcome to the La Salle County Appraisal District! Within this site you will find general information about the District and the ad valorem property tax system in Texas, as well as information regarding specific properties within the district.La Salle County Appraisal District is responsible for appraising all real and business personal property within La Salle County.The district appraises property according to the Texas Property Tax Code and the Uniform Standards of Professional Appraisal Practices (USPAP). What does The La Salle County Appraisal District Do? Click the link for more information on the Appraisal Process. View the short videos below for general information on appraiser!